If you want to experience the very best Chiang Mai Nightlife has to offer you'd probably want to head straight for the most fashionable part of town known to locals as Nimman but for the rest of us, it is Nimmanhaemin, an unpronounceable name. It's primarily a long stretch of road filled with plenty of restaurants, bars and clubs. And it's also no secret that this road called Nimmanhaemin which lies north-west of the old city is immensely popular with backpackers, tourists, expats and locals alike. It's one big hot spot for trendsetters, sassy socialites and smooth operators. It's entertainment all the way. If live music floats your boat you're going to love this place. Most of the clubs and pubs here have their own bands with some supporting as many as six or so members. Some even include a brass section. There are some who think the music a bit cheesy but the party atmosphere cannot be denied. It's one heck of a raucous affair. And if it's just drinking and having a jolly good time, well that's also fine too. For the most part, I wouldn't bother too much with the nightlife in the old city part of town. For it's there where you'll find the night bazaar but not much else as far a real entertainment is concerned. And besides the ambience is less vibrant. The old city is more of a night time shopping and eating experience than a dance and let your hair down sort of place. On the other hand, if you're not quite into the whole party animal thing, but still looking for a great girlfriend experience in Chiang Mai, then perhaps the eastern perimeter of the old city is the place to be. For it's here where you'll find a number of bars and massage parlours filled with tasty delights to satisfy your cravings. But for the moment lets head back to Nimmanhaemin Road where the best Chiang Mai Nightlife is and where the top end clubs and pubs are. 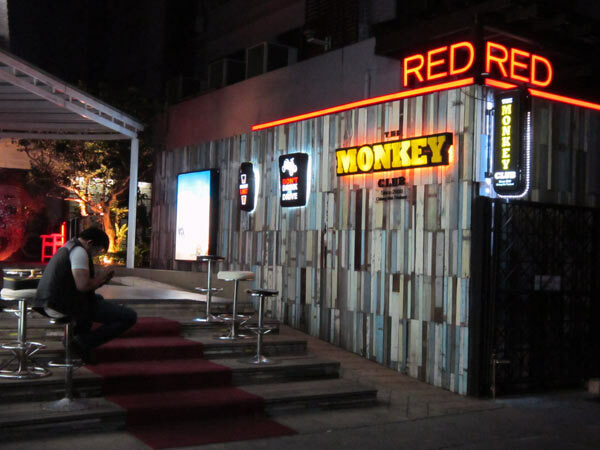 The Monkey Club is a rather trendy place for the young at heart and while it attracts a fair number of affluent students, few expats can resist coming here. The club has a fantastic atmosphere both in its inner all glassed (sparkling white) bar area and its outer exquisitely lit tropical garden setting. This is where you can enjoy both dining and jiving. And if eating and drinking, listening to live music and dancing the night away are the reason you're here, you've definitely come to the right place. The Warm Up Bar is also another party place to experience, though not quite up to the plush standard as the Monkey Bar but nevertheless one of the top spots to see and be seen. This place is popular with the younger generation as it has two large dance areas. One featuring DJ dance music and the other famous for its live bands. The club also serves up a decent menu should you feel a little peckish and it appears to cater mainly for rich kids and their snazzy socialites. If you haven't quite dressed up for the occasion, don't panic, you'll still get in. The Fabrique Club is one of those late night Chiang Mai nightlife venues located on Nimmanhaeman Road for those of you wanting to linger just that little bit longer. But I should warn you that it can be a little bit pricey for some. While a "free" drink may be included, the entrance fee here is 300 Baht. Local Thai bands and a DJ set the pace and get the crowd swinging, but you'll have to hurry as weekends can get very busy. On weekdays, however, it's a lot less crowded and a little more relaxed. 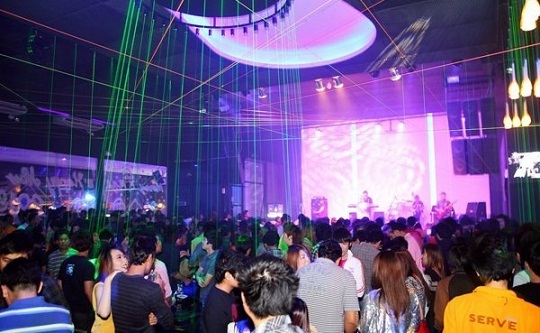 The Spicy Club is another Chiang Mai nightlife establishment just a short distance from Zoe in Yellow. And while every other joint may have closed, this one stays open a lot longer. So if you want to be the last man standing then this might just be up your alley. Spicy is known to stay open way past two in the morning. However, watch out that you don't get caught up in the middle of a fight as often happens when someone has one too many. It's also a place to pick up chicks, but if it's a good girl (not a good girl gone bad) you're after, you need to be a smooth operator to avoid any additional expenses that just might be heading in your direction. 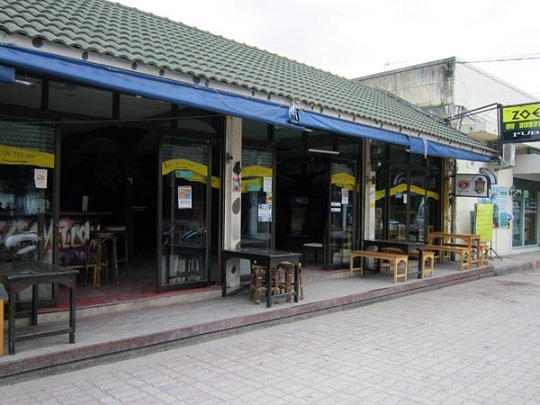 Zoe in Yellow is a restaurant and bar located near Taphae gate. This Chiang Mai nightlife venue is extremely farang friendly - meaning that lots of backpackers and expats frequent the place. Nevertheless, this joint is certainly not short on local Thai girls either, some of whom can even speak a little English too. Overall, it's a great place to hang out, especially as there's no cover charge and the drinks are reasonably priced. 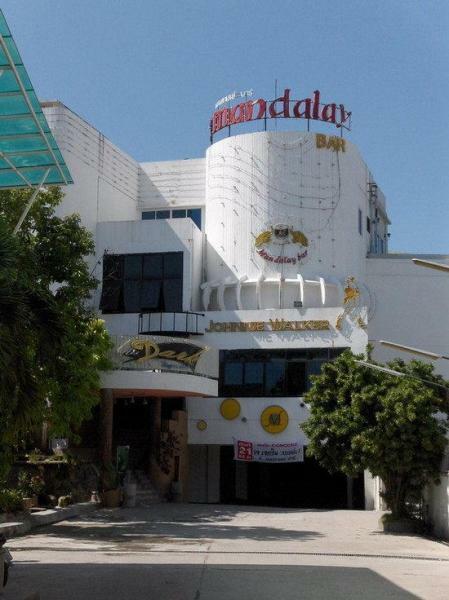 The club has four bars and two dance floors that belt out a mix of rock, reggae and the latest top hits. Zoe tends to get a tad rowdy at the best of times, meaning this place is not the perfect chill out joint. 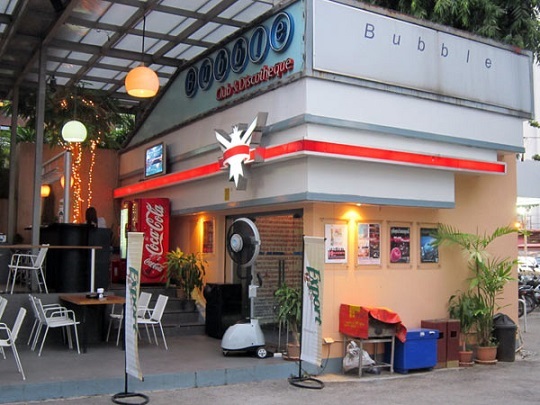 The Bubble Club and Discotheque is the mother of all party places in Chiang Mai. It's also the oldest club of its kind in town. Not only that, it's also the loudest club in town. No wonder they hide it away underground in a basement. If you're into loud (make that very loud) thumping sounds, then this could be your calling. However, if you're trying to speak to your mate or girlfriend while inside, you might have to use hand signals instead. I just hope you don't hear a loud bang and have to dash for the nearest exit. Maybe worth your while checking out one before things get really out of hand. But besides all that the Bubble club is a splendid mix of local Thai, friendly Farang and the odd gay couple. 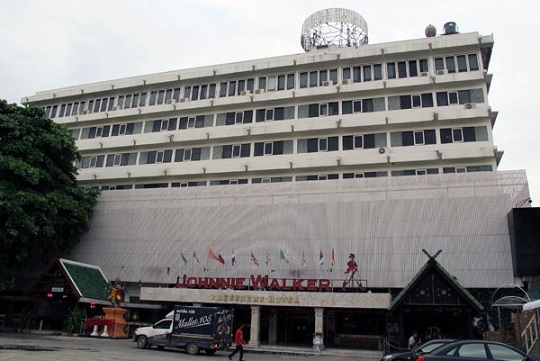 The Hot Shot Club is a Chiang Mai nightlife venue connected to the Pornping Tower Hotel in Charoen Prathet Road next door to the Bubble Discotheque. 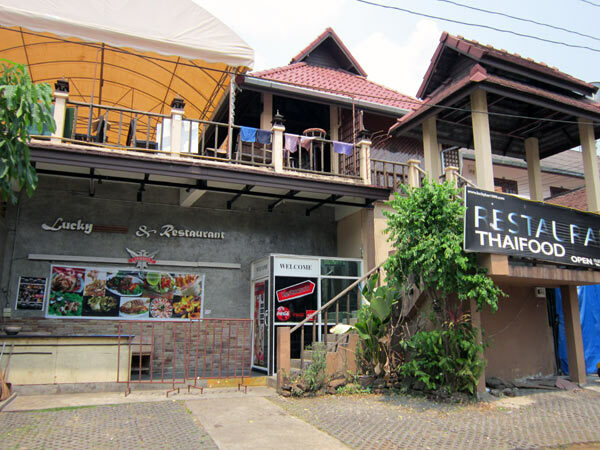 While catering for a lot of young Thai locals, older foreigners frequent the place too, since there is no cover charge. It's here where you'll get reasonably priced drinks, live music on most nights as well as some coyote dancing. You may even be lucky to see some of the showgirls stripping down to bare essentials, but other than that it's all up to you. Mandalay Bar What's going on here. This towering tornado of a building and set on multiple floors seems to have closed its doors. Hopefully, it's only temporary as they always put on a great show here every night. It's a Chiang Mai nightlife performance you wouldn't want to miss even if the farang treatment isn't always up to scratch. What with the hefty entrance fee and all that. Yes, they charge 300 Baht (foreigners only) at the door even though it's exchangeable for a drink or two. Anyway, if you do manage to get in when they re-open you'll find that upstairs is where the younger crowd goes while the older ones seem to hang out downstairs. And, in between that there are a few gay and lesbian folk. Mandalay caters for all and much more. The Infinity Club must be one of the hippest joints in town. 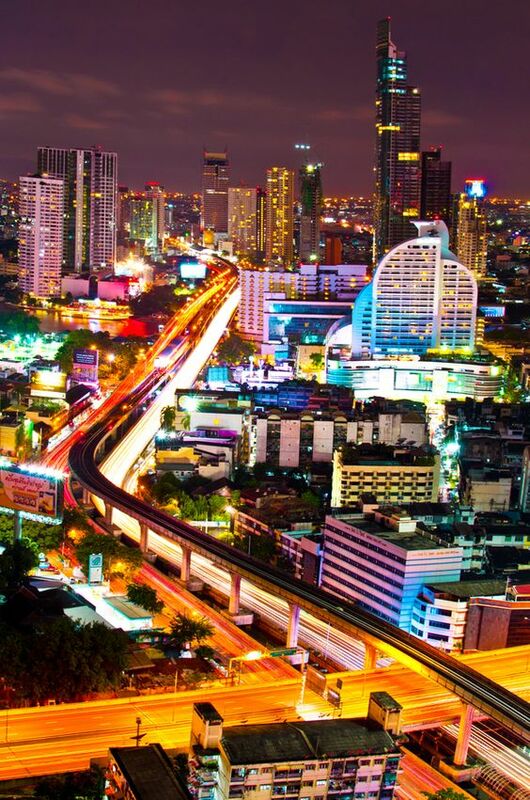 It's also one of the largest of its kind in Chiang Mai. It's super fashionable, it's contemporary, it's modern, it's trendy, it's upscale, it's upmarket and it's extremely upbeat. It would appear that no expense was spared in fitting its massive dance floor with the latest electrifying light and sound equipment. Not for the faint of heart. It will certainly knock your socks off. Only fitting for the young, the bold and the beautiful. And while weekdays are okay, it can get extremely crowded on weekends. It's acceptable to go casual, but definitely no sandals, shorts and sunglasses. The Lucky Club is also part of the Chiang Mai nightlife scene, but I'm not sure why they call it the lucky club. It could well have something to do with the fact that because it's another late night joint, you might just get lucky in scoring a chick. That is with a go-go girl or a bar girl. At the very worst you might get lucky with a couple of freelance girls. It gets a little dark in here, but you can always head up to the rooftop and grab yourself something to eat while checking out the scene. You never know, maybe you get lucky up here too, but I wouldn't push it. Well, that just about wraps things up for the moment, but don't forget there are many more clubs, pubs and other exciting establishments I haven't mentioned as part of your Chiang Mai nightlife experience. However, the ten clubs listed here have been chosen as the most popular of all the clubs in town and possibly and probably the ten best spots too. 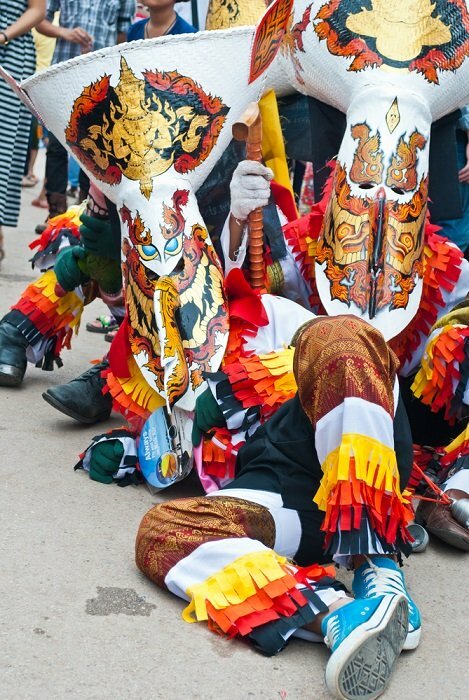 It will give you a taste of what to expect in Chiang Mai.